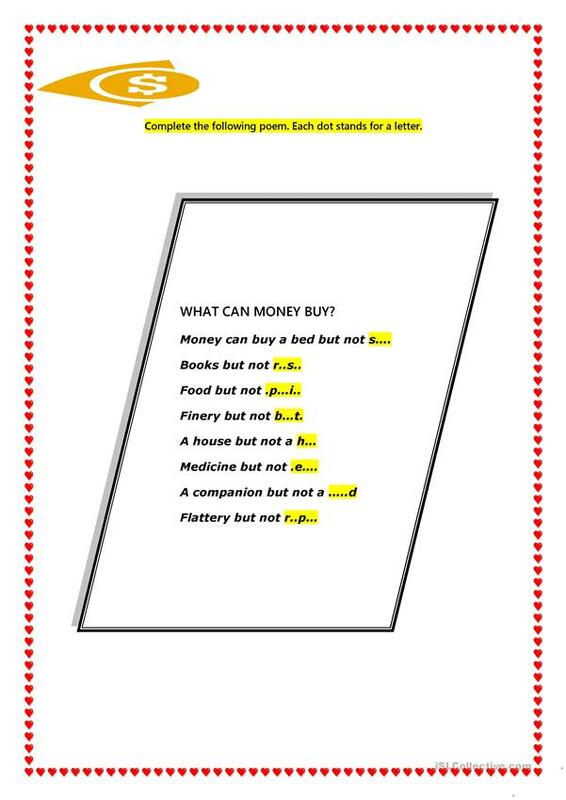 it's a poem completion.money is the root of all evil.pupils 'll fill in the blanks.Each dot stands for a letter. The above printable, downloadable handout was created for high school students and adults at Pre-intermediate (A2) and Intermediate (B1) level. It was designed for honing your learners' Reading and Writing skills. 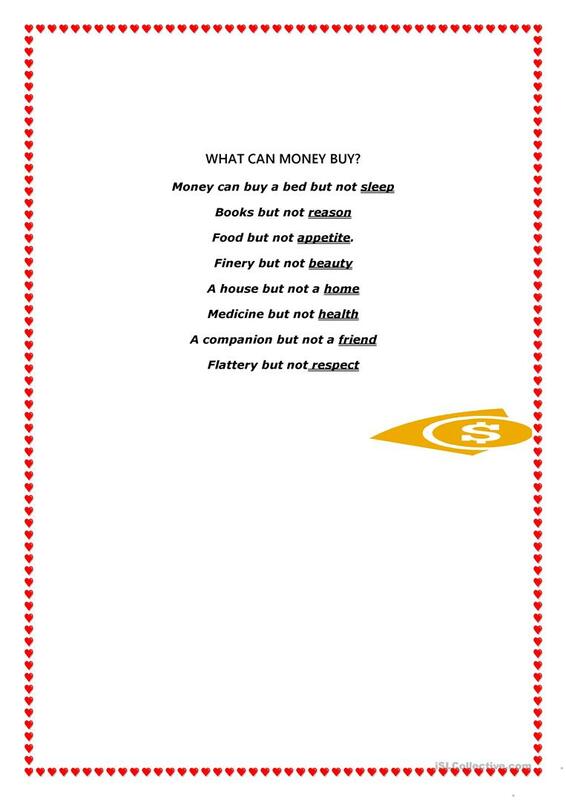 It focuses on the topic and words of Money. It includes the answer key, too. I am an English teacher and a mother. I like teaching but I feel always busy.